You want to design your new kitchen, the place where you spend the most of your time ? With the kitchen being such a high activity area of the house it is worth finding out how to design a kitchen – even if you are using a kitchen designer or architect. Knowing what is involved in the process will help you understand how you want to design your own kitchen. 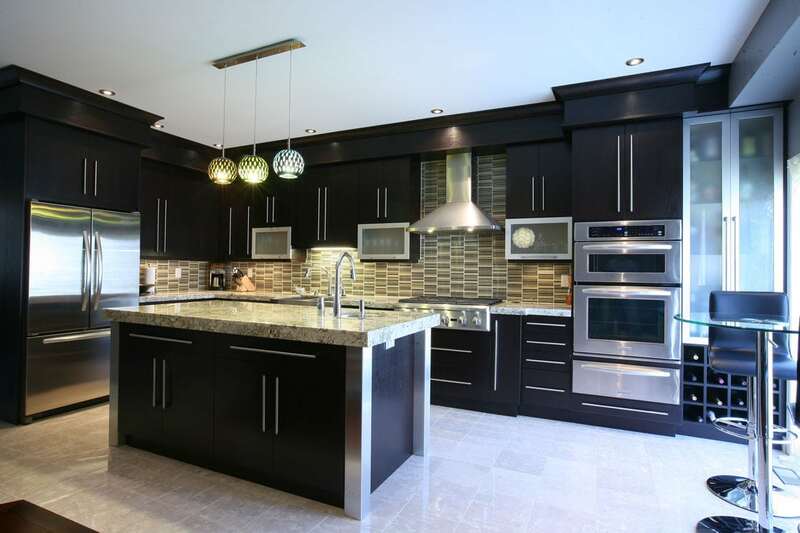 Think in terms of how you want a space to function before making interior design or furniture choices but for kitchens it helps to know where you plan to get your kitchen cabinets from. Most manufacturers have units in various standard sizes but always work with the kitchen cabinet dimensions that the manufacturer provides. Even if you are getting a bespoke kitchen made, getting in touch with a maker and finding out if they work in any standard sizes. First decide if you’re working in feet and inches or m, cm and mm. Then, Take your time and be accurate and measure using the right measurement for your country. Measure floor dimensions, niches, windows, doors, where the water pipes come up from the floor. Will you be using existing plumbing for sinks and appliances or will you require additional pipe work? If you are planning to include a kitchen island containing a sink or other appliances in your design, you need to ensure that plumbing and electricity supplies are in place before flooring is laid. When planning lighting it is a good idea to make the system quite flexible so you can regulate areas of your kitchen independently. Secondary lighting, such as spots above cooking and preparation areas, is also useful. They will help you to plan everything in details.